French Chef Literally Cannot Get Rid of Michelin StarsSébastien Bras tried to relinquish his Michelin stars. The restaurant guide gave him some anyway. Here Are the 2019 Michelin Stars for New York CityLe Coucou, Sushi Nakazawa, and more make the cut. The Michelin Guide Will Allow a Famed French Chef to Forfeit His StarsIt’s the first time it’s happened in the guidebook’s history. Here Are the 2018 Michelin Stars for New York CityJean Georges loses a star, and some notable new additions hit the annual list. Here Are Michelin’s 2018 Bib Gourmand Picks for New York CityThis year’s list includes Atla and Hao Noodle and Tea. Watch the Trailer for Michelin Stars, a New Film About the World’s Elite ChefsThe documentary highlights some of the industry’s most revered figures. Roadside Diner in France Wins Michelin Star by MistakeThe restaurant has been “swamped” ever since. Michelin’s 2017 Bib Gourmand Selections Include Some Big SurprisesThe Spotted Pig lost its star. Seven Small Towns That Are Inundated With Michelin StarsPlaces like Colmar and Knokke-Heist may not be on your culinary radar, but they probably should be. Which Bay Area Restaurant Accidentally Overcharged a Michelin Inspector by $800?We’re quite curious. Here’s Dominique Crenn Celebrating Her Two Michelin StarsShe was at the Michelin party last night in SoMa. Head Inspector for Michelin Guide Explains Why State Bird Was Snubbed, and FleurIt’s the first time we’ve gotten one on the phone, and it’s pretty interesting. Michelin Stars for 2013 Announced: Atelier Crenn Gets Two, SPQR Earns a Star,In the S.F. Guide, Crenn becomes the first woman in the U.S. to earn two stars from Michelin. Delarosa, Incanto, and Fish Story Dropped from Michelin’s 2013 BibAlso, SPQR falls off, but we think this may be because they’re getting a star. 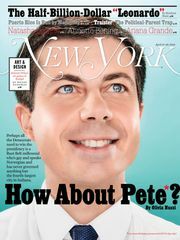 Hell Is Other DinersFour-eyed purple prose hater. 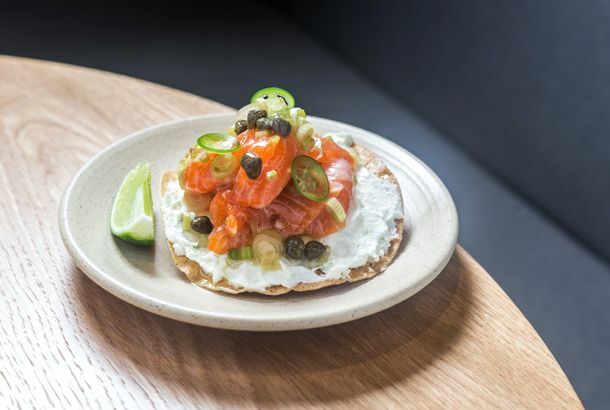 Michelin Inspectors Call Wood Tavern ‘Delish’ and BoucheAlso, they visit Central Kitchen and Izakaya Yuzuki. Under New Ownership the Myth of Le Bec-Fin’s Michelin Star Rating Lives OnThe curious case of the dining institution’s supposed Michelin rating continues. A Meal at Terrapin Creek in Bodega Bay, IllustratedIt’s all pretty damn delicious. At Least One Michelin Inspector Not Down With the Poultry-Aging TrendWere they at Saison, perhaps? Local Michelin Inspectors Approve of Haven and Mozzeria, and Fall In Love AnewAlso, they had a great meal at Manresa. Penthouse Club Chef Aiming for Michelin StarThe former Dry Creek Kitchen chef has lofty goals. Michelin Inspectors in Chicago Couldn’t Snag Reservations at NextEven they couldn’t get in more than once, so they didn’t review it. Regarding Terrapin Creek Café, This Year’s Michelin-Star SleeperThe little Bodega Bay restaurant kind of popped up out of nowhere, and is now on the radar. Saison’s Joshua Skenes Reacts to His Michelin StarsHe sprayed champagne all over his staff. Michelin Inspector Responds Regarding Commonwealth SnubThey say they should just be happy to be in the guide. Local Michelin Inspector Swayed By Twitterers to Give Props to Kappou GomiThe tiny Richmond-district Japanese joint might never have caught Michelin’s eye without tweet recommendations. Bar Tartine, Zero Zero, Contigo Among New Picks for Michelin Bib GourmandThe list got leaked a day early, via Bloomberg. Benu’s Corey Lee Responds to the Journal’s Compliments, and“We’re still in our infancy,” says Lee, modestly. Michelin Inspectors Like Bar Tartine, Saison, and Boxing Room Lately; Not SoAlso, one of them is addicted to Blue Bottle iced coffee. Le Bernardin Must Really Want Those Michelin Stars [Updated]A Michelin inspector tweets about a great dinner there; too bad the restaurant’s been closed for a month. Funny ’Cause It’s TrueEven Conan O’Brien knows the Michelin Guide is broken. Local Michelin Inspector Felled By Food PoisoningDid it happen in Yountville? 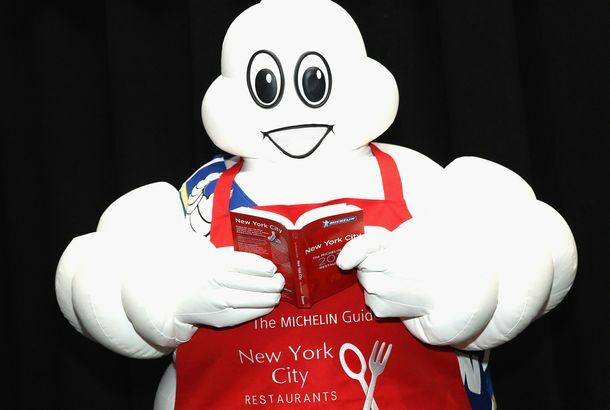 Michelin Guide Hemorrhaging Cash; Michelin Family Does Not Necessarily CareThe 111-year-old guide is a loss leader for the tire company, but they’re not likely to change the way they do business.